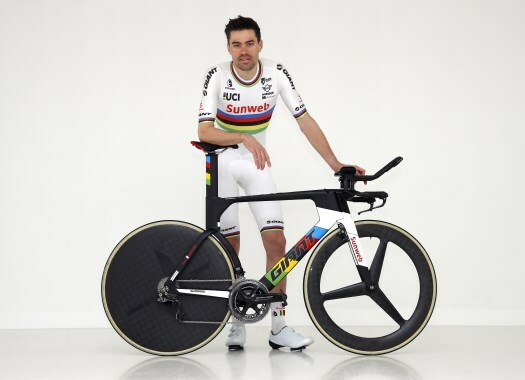 Tom Dumoulin of Sunweb was delighted with his win in the opening time trial of the Giro d'Italia, which allows him to wear the Pink Jersey right from the start. The 2017 Giro champion completed the course two seconds faster than BMC's Rohan Dennis, and gained some valuable time on his key rivals for the general classification. "I knew I felt good the last days but then you still have to see in the race how it is. It's perfect, all I wish for. The win and a lot of time on the other GC riders so a perfect start for me and the team," the 'Maastricht Butterfly' said. Although he had reservations about the course in advance, the Dutchman admitted that it had actually suited him very well. "It was perfect for me. Very technical. I'm good in the corners on my TT bike. It was just full gas and recovering. It's really nice." Dumoulin will be wearing the Pink Jersey on Saturday and has some time on the sprinters, but does not expect to keep it for the rest of the Giro. "We will see. We are not planning on defending it every day. The Giro is still very long. It's nice that we have it today but it's hard to keep it for the whole three weeks so we will see what we do about that."